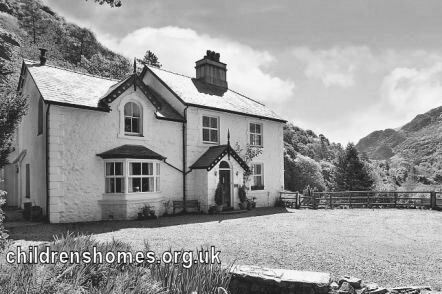 The St Garmon's Home for Boys was opened by the Waifs and Strays Society in 1917 at Betws Garmon (or Bettws Garmon), Carnarvonshire. The official opening, by the Society's founder Prebendary Edward Rudolf, took place on September 27th, with its dedication being performed by the Bishop of Bangor, The home was located in a 'handsome country mansion' previously known as Tan-y-Gareg (or Tanygarreg) which had been given to the Society by the Rev. F.M. Parry of Plasyphant, Betws Garmon. It could house 24 boys aged from 5 to 14. Former St Garmon's Home, Betws Garmon. In 1918, tho home received boys from the Bodorgan Home on Anglesey, which was being closed. St Garmon's itself was closed in 1920. In recent times, the property has become the Plas-y-Coed hotel.